My first exposure to Ignatian pilgrimages came during the summer after my freshman year at Fordham University. As a member of the University Choir, I had the unique opportunity to travel to Spain and trace the footsteps of St. Ignatius of Loyola by foot, by bus and by song. While I still don’t know if Ignatius was much of a vocalist himself, I like to think that he would have gotten a kick out of hearing a concert sung by American college students in his native town, nearly 500 years after his birth. The November 6 mid-term elections led to a surprise “blue wave” across the nation. Democrats won control of the U.S. House of Representatives while Republicans retained control of the U.S. Senate by wider margins than in the 115th Congress. 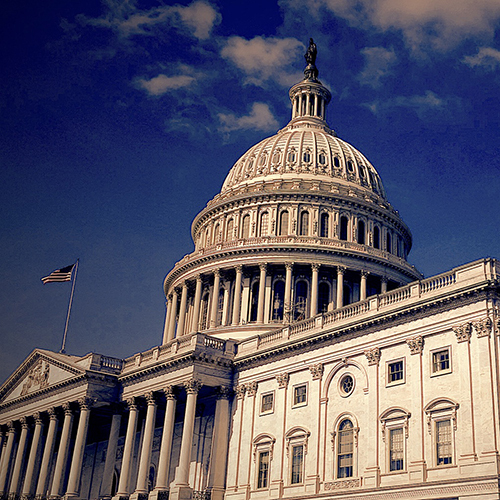 Two races are still outstanding: one in the House and one in the Senate. As of this writing, House Democrats have acquired 39 new seats and Senate Republicans lead by 52 seats. This past summer, Le Moyne College President, Linda LeMura, Ph.D.; Provost and Vice President for Academic Affairs, Rev. Joseph Marina, S.J. ; and Vice President for Mission Integration, Rev. David McCallum ’90, S.J., traveled to the University of Deusto in Bilbao, Spain, where they joined approximately 300 colleagues from 189 Jesuit institutions of higher education from around the world, to attend the inaugural meeting of the International Association of Jesuit Universities (IAJU). Over the course of its nearly 150-year history, many alumni of Saint Peter’s University have expressed that they would like to learn more about the founder who played a major role in their life experience. 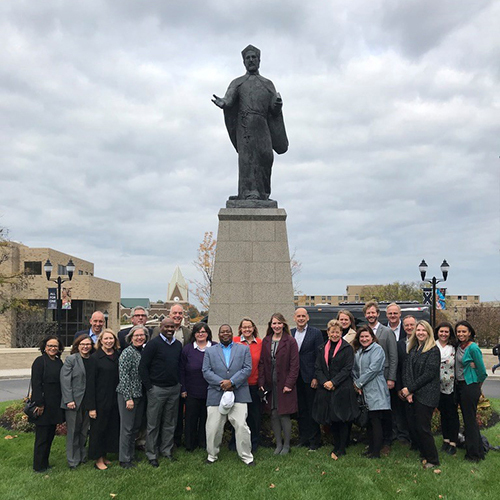 In 2014, the Office of Alumni Engagement at Saint Peter’s responded to that call with the University’s first-ever trip to walk in the footsteps of St. Ignatius. Since the summer of 2017, The University of Scranton’s Jesuit Center has taken groups of faculty and staff on the “Footsteps of Ignatius Pilgrimage” to Spain and Italy to visit the important sites in the life of St. Ignatius and other prominent Jesuits. The faculty and staff cohorts begin with a nine-month on-campus Ignatian Leadership Program, designed to prepare participants for the experience along the Camino Ignaciano – the path of St. Ignatius – from Bilbao, Spain to Rome, Italy. In the heart of Rome, lies a building with several rooms where St. Ignatius of Loyola spent the last decade or so of his life. It was there, in those rooms, that I and 29 others affiliated with Creighton University, spent our first afternoon in Rome, having already visited a number of other important sites in Spain on a summer pilgrimage following the footsteps of Ignatius and the early Jesuits. The bus from Bilbao rolled into the quiet Basque town of Loyola as I listened to the second movement of Franz Schubert’s Fifth Symphony. Like the mood of the music, it was cloudy, misty and dreary, yet immensely full of life. I was thousands of miles away from my academic home, Loyola Chicago, but I immediately felt that Loyola, Spain was my home. After all, I’d discovered my Jesuit vocation in Europe, and now I was returning to rediscover it in the place where everything Ignatian began more than 500 years ago.